Stick On Signs is the designer and producer of a comprehensive range of business signage and visual advertising. 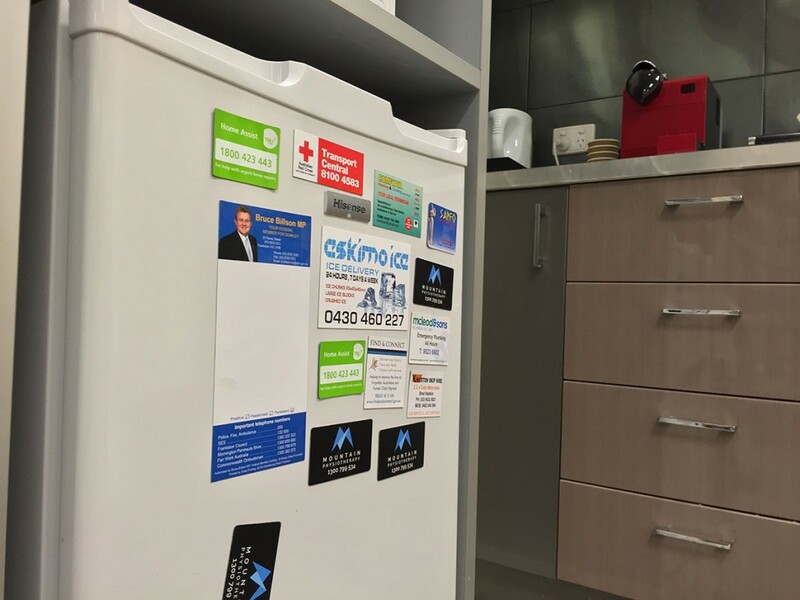 One of the nifty pieces of signage our team specialises in is that of wholesale fridge magnets for Melbourne businesses. Ever-endearing, always enjoyed, the business fridge magnet is one of the subtler ways in which you can get your company message across to audiences that may have otherwise not see your branding. 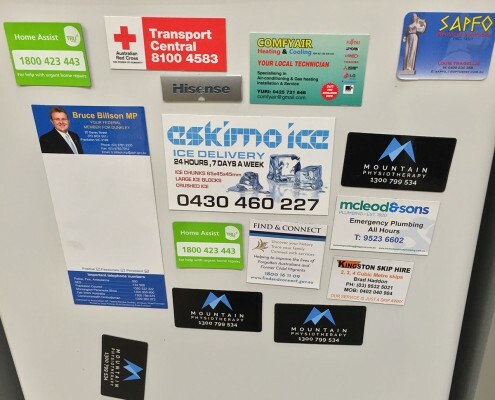 We have a range of wholesale fridge magnets, including fridge magnet business cards, available to buy for a fun and customised advertising tool. Custom fridge magnets are a long lasting and economical form of advertising that can be used as a powerful marketing tool – even as clever business cards – ensuring that your contact information is never too far away from those most likely to buy from you. They adhere to fridges, freezers, dishwashers, washing machines, tool boxes, filing cabinets, or any metallic surface without damaging the surface. We also die cut fridge magnets to any shape and size. Fridge magnets and magnetic business cards make your business visible 24/7 and get you non-stop advertising. 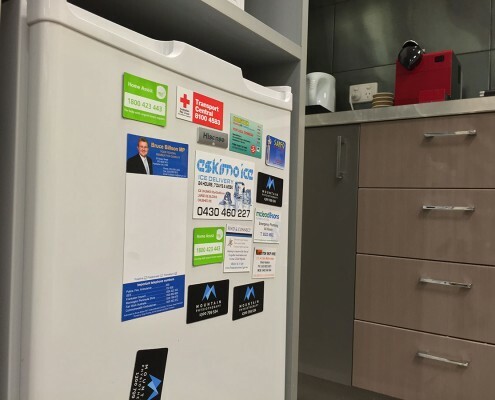 You will love the style and creativity put into your business’s fridge magnets by the experts at Stick On Signs, giving your business an effective new method of conveying your branding to a whole new host of customers. Love magnets? We also have car magnets! 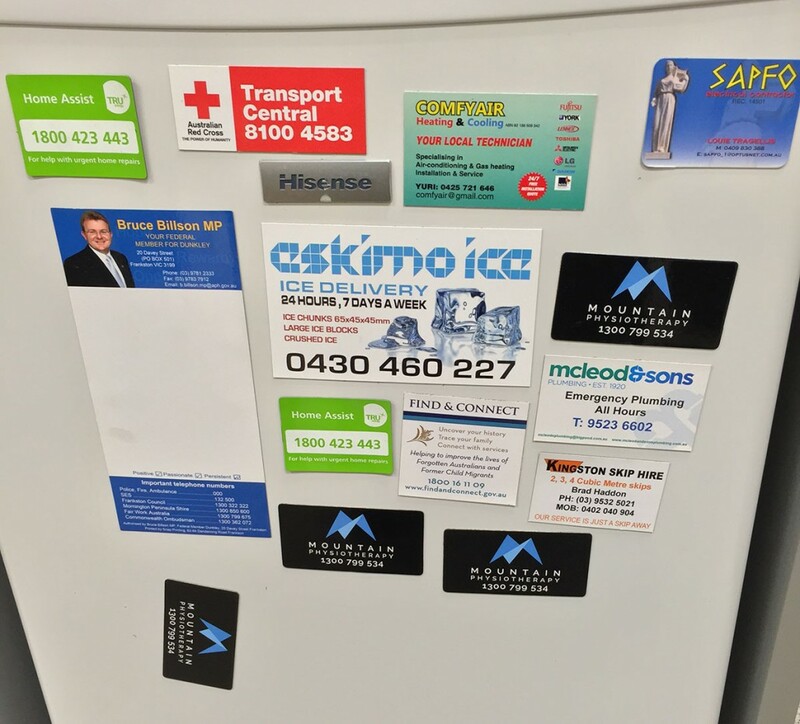 Do you have any enquiries about the wholesale fridge magnets available for purchase from the professionals at Stick On Signs? Or would you like to get started on having your business’s stylish new magnets designed? We’re always happy to hear from new businesses here at Stick On Signs, as this is part of our continued dedication to providing an exceptional standard of service and communication, as well as getting our creative energy going for a new design. Call us on +61 3 9519 7444 or submit an enquiry form in the contact box below. We will get back to you as soon as possible and with all the information you require. If you already have specifications for a Fridge Magnet you need for your business, you can fill up the form below and leave us a note. We’ll get back to you as soon as possible!